Engage community organizations, businesses and others to distribute flyers with information about local sites, including locations, meals served, when meals are served and contact information for each site. Also engage your community partners to help spread the word through their networks, including local business associations, such as the Rotary Club, and community organizations, such as Boys & Girls Clubs, YMCA, United Way and other organizations that serve children and families. Re: Help spread the word about summer meals for kids! All children need healthy nutrition all year long to grow, be healthy and succeed in school. The federal Summer Meals Food Service Program is aimed at making sure that happens. This summer, New Jersey will have about 1,300 sites across the state where children can receive free summer meals. With a growing number of sites available, we need to make sure parents and other caregivers know where to find meals for their children this summer. Distributing the attached flyers in locations where children and families congregate. Forwarding this email to your networks. Posting on social media. See sample posts. If you work directly with parents and other caregivers, distribute information to your clients via email and flyers. A sample message is below. In general, open summer meals sites are free and require no identification or income verification from parents. Unfortunately, many parents simply do not know they exist. In fact, in 2017, only about one-quarter of low-income New Jersey children received these meals. Not only do these programs provide nutritious meals, they also give kids a chance to engage in fun, healthy activities during the summer months. Please help spread the word! 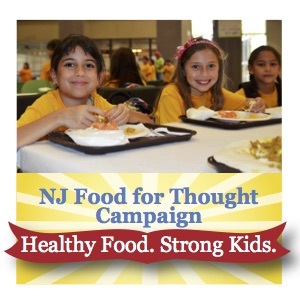 To find additional outreach strategies and tools, visit njsummermeals.org. Free Food, Fun for Kids All Summer Long! Free summer meals are available to kids and teens across [Community Name]. Many summer meals sites offer fun learning and recreational activities so kids and teens can eat a healthy meal while staying active and being with friends. Meals are free to children and teens ages 18 and younger and follow federal nutrition guidelines. At open sites, parents do not need to apply to the program or show proof of income to get a free summer meal for their kids. Simply bring your child to a summer meals site in your community. 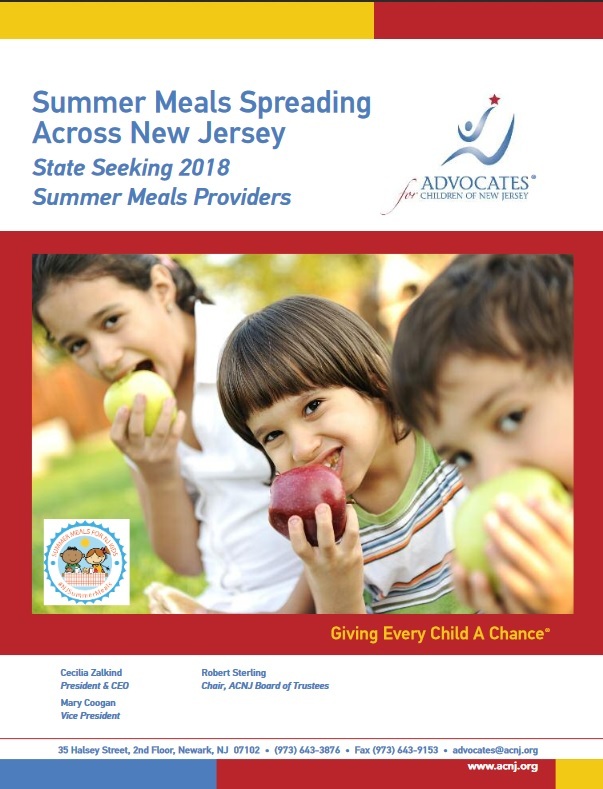 To locate open meal sites, text “summer meals” to 97779, visit https://www.fns.usda.gov/summerfoodrocks or email SFSPCommunication@ag.state.nj.us. Hosting a kick-off event to promote summer meals is a great way to engage partners, families and the community! Planning additional events throughout the summer energizes participants and reminds families that summer meals are still available. The best time to hold kick-off events is at the beginning of June during National Summer Kick-Off Week, right after the academic school year ends and/or the day of or a few days prior to the opening of your summer meals program. Successful kick-off events involve a variety of community members and organizations. Be sure to invite the mayor, school superintendent, other local officials, community and faith-based organizations and local business leaders. Providing food and fun activities for children and parents is another important component. You might also consider having drawings or giveaways of donated items like tickets to local events, t-shirts, sunglasses, stickers and other items. Learn more about planning a kick-off event. During a Blitz Day, volunteers come together to canvass a community with outreach materials about the available free summer meals. Blitz Day outreach locations can include schools, child care centers, businesses, community centers, faith-based organizations, parks, libraries, health centers, Family Success Centers and other locations where children and parents congregate. Volunteers and community leaders meet at a designated time and location. A community leader or host says a few words. The sponsor provides a brief overview of summer meals programs, frequently asked questions and assigns canvassing areas. Volunteers head out in partners or small teams to their respective zones and begin the Blitz. Volunteers meet back at a designated time (Typically 2-4 hours later). Host/s provide food/beverages as a thank you. Learn more about holding a Blitz Day.